The wonderful people from Awake Adventures got in touch with me earlier this month about the possibility of doing a guest post. After doing my research and seeing the amazing eco-friendly and sustainable tours they do throughout Colombia, I couldn’t help but want to share just a glimpse into what they’re all about. Here is a post written by Miguel Torres Uribe about his experience in the town of La Macarena on his way to Caño Cristales. The municipality of La Macarena is today one of the most important natural tourism destinations to visit while in Colombia. 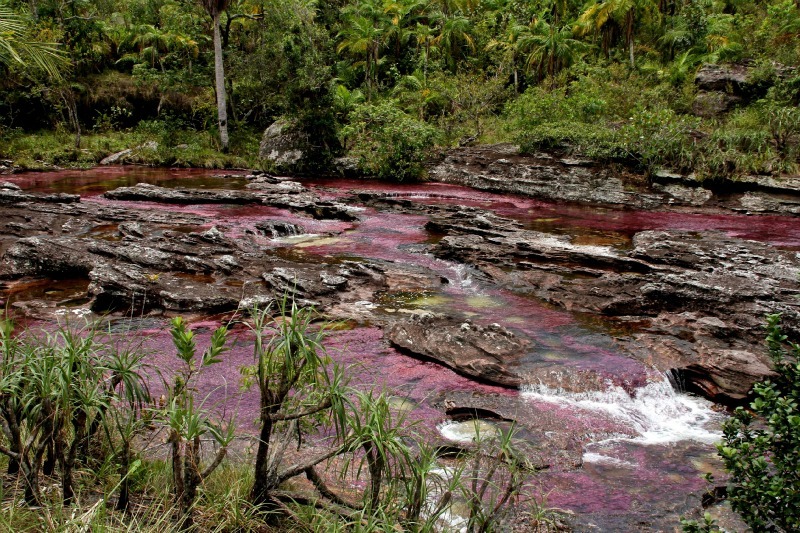 La Macarena is the closest town to Caño Cristales, which is one of the world’s most beautiful rivers and recognised as one of those completely unique types of landscapes on earth. But travel Colombia and you’ll find the importance of La Macarena goes far beyond the beauty of its landscapes. I speak of the town La Macarena as a destination and not just the now-popular destination, Caño Cristales, because when you get to town, which is on the banks of Guayabero River, it is hard to believe that a few years ago the economy was based on coca plantations. The hotel where I stayed now welcomes travelers, but it once hosted FARC warlord el Mono Jojoy, and is close to one of the biggest FARC guerrilla camps in the country. After living this harsh reality, La Macarena and its inhabitants have been able to implement a model of community-based tourism. 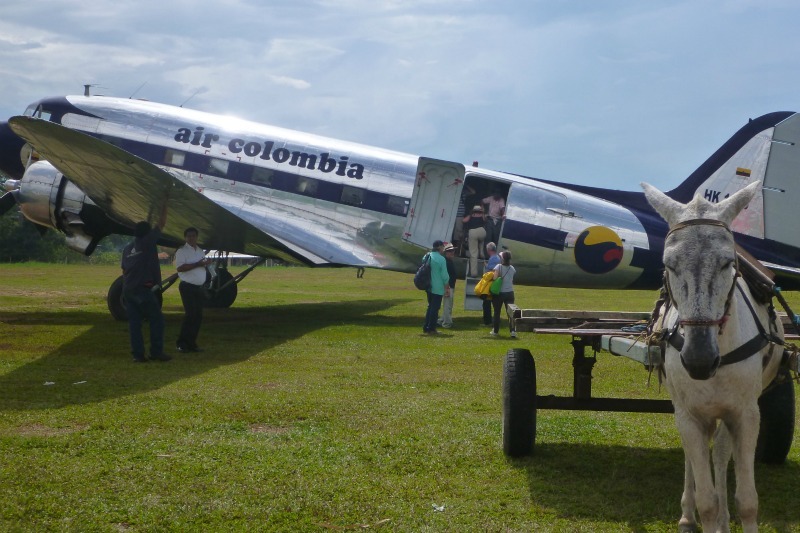 This has allowed them to leave behind the coca production for cocaine and enabled them to integrate into Colombia and feel part of a country with which they had no true contact before. Today, these same people have become guides and tourism entrepreneurs. This has been the tool for building peace, to value and appropriate the territory, to share their culture with travellers from all over the world who, like me, arrived in search of that river of five colours and found something much more impressive: an empowered community that filled me with hope and transmitted their desire to succeed, their passion for their land and their dedication to service. In my experience, rather than the beautiful and pristine scenery of Caño Cristales shown in the pictures which motivate us to visit, the true beauty is seeing the young population stepping into the roles of local expert guides who protect, share and teach travellers to revere Caño Cristales as the sacred place it is. It is truly beautiful to see that the process of tourism development is taking place in harmony with the ecosystem thanks to the community. Beauty is hearing the locals talk about Macarenias clavígeras, a beautiful endemic plant species that gives the colours to the river, as a natural treasure. Beauty is attending a traditional “parrando llanero”, a local celebration organized by the community, to share their culture and folklore with the travellers. This is true sustainable tourism at work. It generates benefits for the hosts and facilitates the construction of better places to live and visit. Conserving ecosystems, in this case to protect the river, becomes a real livelihood option for local communities, and their cultural expressions and traditional knowledge are respected. Thanks to all those people from La Macarena that made me believe that Colombia travel is a possibility after the war and for teaching me that sustainable tourism is not about taking a picture where no human beings live, but rather to seek places that are inhabited by people who eliminate nature – a development dilemma because they see themselves as integral part of it and its future. Thanks to Jairo, Andrea, Mrs. Sandra, Faber, Byron and all those who have made La Macarena and Caño Cristales a model destination to travel in Colombia for sustainable tourism managed by the community. Wow, yes nobody would deny all the reasons not to travel colombia. 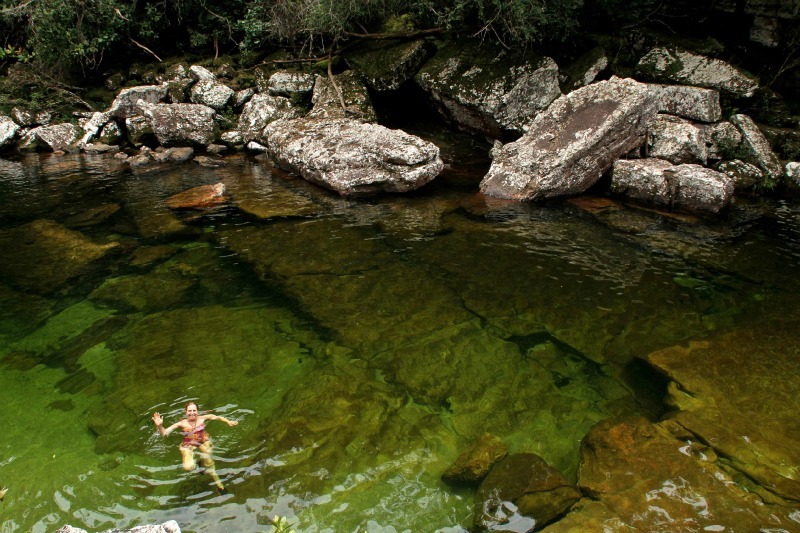 I love that natural swimming pool…..Sapera you did a great job at it. I love to watch Colombia with its beautiful nature made swimming pools . Its a new experience for me. Hi, Miguel Torres, I am very keen to visit Coloumbia.. May be next year 2016, I will be there, any way thanks for sharing this kind of post.. Thanks so much for commenting, I hope you have an amazing trip if you make it to Colombia next year. Have fun! That’s great to hear, have fun!